(Irvine, California) – December 14, 2018 – Diversity in STEAM Magazine (DISM) today released the results of its much-anticipated review of the nation’s Top STEM-Friendly Programs. Diversity in STEAM Magazine polled hundreds of schools for its Best of the Best evaluations. DISM is one the nation’s fastest-growing diversity magazines, promoting the advancement of diversity in all aspects of STEAM to ensure equal opportunity. The outstanding efforts toward this promotion make these schools leaders in the quest for true diversity, and we commend them all. The goal of the annual evaluations is to not only bring the latest information and guidance to our readers, but also encourage active outreach and diversity policies among corporations and government agencies. The lists were compiled from market research, independent research, diversity conference participation and survey responses that were performed by DiversityComm’s agents and/or affiliates. This year, more than 100 schools and institutions participated. The results are published in the winter-spring issue of Diversity in STEAM Magazine and available on newsstands mid-December. 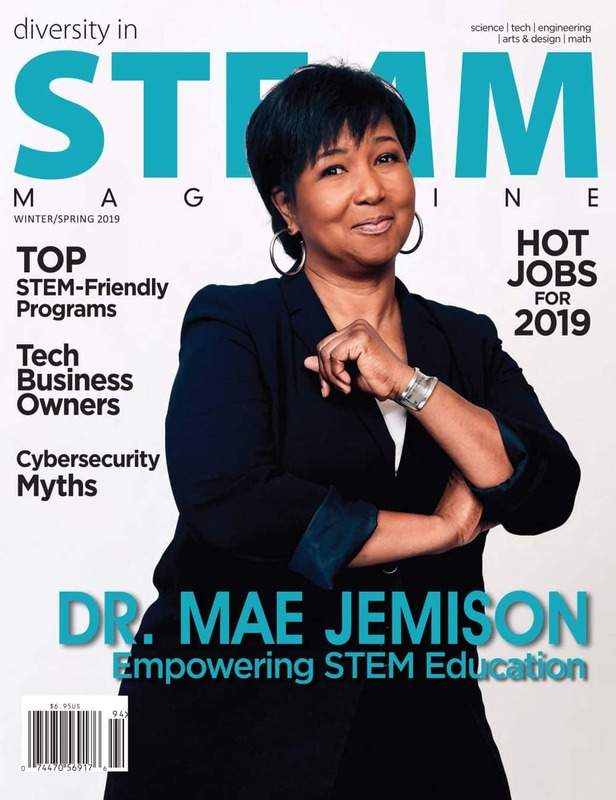 Published by DiversityComm, Diversity in STEAM Magazine is dedicated to promoting the advancement of diversity in all aspects of STEM programs, business and employment to ensure equal opportunity. DiversityComm also publishes Black EOE Journal, HISPANIC Network Magazine, Professional Woman’s Magazine, U.S. Veterans Magazine and DIVERSEability Magazine. For more information about the annual Best of the Best survey or Diversity in STEAM Magazine, please contact the research department at (800) 592-STEAM (7832) or e-email surveys@diversitycomm.net. Diversity in STEAM Magazine (DISM) brings STEM Programs and educational, business and employment opportunities to all minorities and diverse cultures starting with K-12. One of the best ways to create value in the 21st century is to combine science and technology with arts, creativity and entrepreneurship. It is our firm belief that in order to have a successful company, Diversity & Inclusion must be implemented in all departments. STEM and the arts are critical for our future and innovation. Full STEAM ahead with us today! (Irvine, California) – January 15, 2018 – Diversity in STEAM Magazine (DISM) today released the results of its much-anticipated review of the nation’s Top STEM-Friendly Programs. The goal of the annual evaluations is to not only bring the latest information and guidance to our readers, but also encourage active outreach and diversity policies among corporations and government agencies. The lists were compiled from market research, independent research, diversity conference participation and survey responses that were performed by DiversityComm’s agents and/or affiliates. This year, more than 150 schools and institutions participated. (Irvine, California) – December 15, 2016 – Diversity in STEAM Magazine (DISM) today released the results of its much-anticipated 2016 review of the nation’s Best of the Best Top STEM-Friendly Programs. Diversity in STEAM Magazine polled hundreds of schools for its 2016 Best of the Best evaluations. DISM is one the nation’s fastest-growing diversity magazines, promoting the advancement of diversity in all aspects of STEAM to ensure equal opportunity. The outstanding efforts toward this promotion make these schools leaders in the quest for true diversity, and we commend them all.